Amid their continuing row over the situation in Ukraine, both the United States and Russia have issued statements expressing concern over the fate of an Armenian-populated town in Syria that has been under attacks by Islamic militants in recent days. More than 600 ethnic Armenian families had to flee their homes in the town situated in the northwest of Syria after armed bands reportedly affiliated with al-Qaeda penetrated from nearby Turkish territory and seized the place after clashes with Syrian government troops. 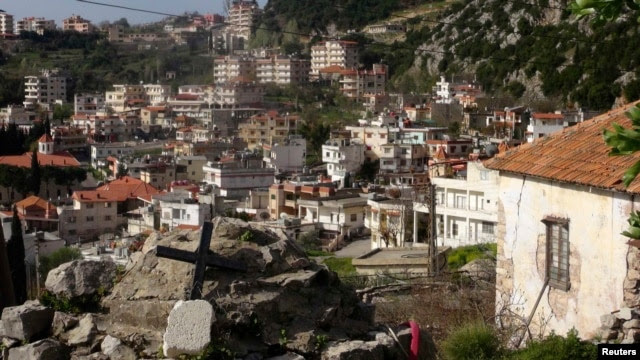 The Armenians took refuge in Latakia, some 60 kilometers to the south of their community. The U.S. Department of State representative also referred to some statements issued by groups fighting in Kessab saying that they will not target civilians and will respect minorities and holy places. “We expect those commitments to be upheld. The United States will continue its steadfast support to those affected by violence in Syria and throughout the region, including Syrian Armenians. We have long had concerns about the threat posed by violent extremists, and this latest threat to the Armenian community in Syria only underscores this further,” Harf said. This statement by the U.S. official was followed by a remarkable exchange with a reporter attending the daily briefing. Meanwhile, the Ministry of Foreign Affairs of Russia also disseminated a statement on Friday expressing concern over the attacks against the Armenian-populated town of Kessab conducted with the support of artillery and heavy materiel. It strongly condemned the acts of terrorism and other crimes against civilians, clearly stating that tank guns were applied from the territory of Turkey. “The seizure by extremists of the town of Kessab elicited a broad response in Armenian communities throughout the world. A demonstration took place in front of the UN office in Yerevan with the demand for the persecution against ethno-confessional minorities by illegal armed units to be put an end to in Syria. Simultaneously, the leadership of the Republic of Armenia expressed its gratitude to the Syrian government for the defense of the Armenian population,” the statement of the Russian Foreign Ministry said. “The impression is that more vigorous activities by extremists are aimed at preventing the resumption of intra-Syrian negotiations, depriving the Syrians of the possibility of a political and diplomatic settlement, thwarting the process of Syria’s chemical demilitarization. Such a scenario is inadmissible,” it added. The delegation said “the United States has a unique responsibility to protect the citizens of Kessab especially since a large proportion of them have American families desperately seeking to provide protection and refuge for them.” It submitted a series of requests for prompt U.S. action. A number of pro-Armenian senators and congressmen also sent letters with similar contents to the U.S. Department of State and President Obama.